If you are a fan of emoji, you will want to update your iPhone to iOS 9.1. 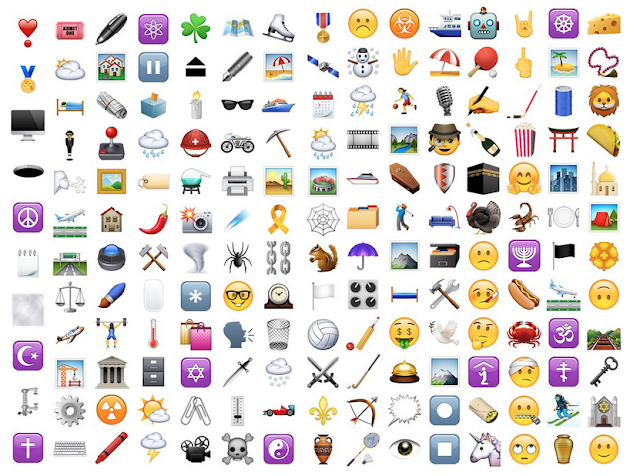 There are 150 new emoji included in the update. It includes an eye roll smiley (that is soon to take a place in my frequently used emoji page) and the often rumored taco emoji. Just in time for Halloween there is a coffin, a skull and crossbones, a spider, and spider web too! Can i get link of PSD file of this cool icons. I want to use in http://5ss.co as content linking icon just left of the title. I try to find some of icon in http://google.com but cant find.